Prevent the devastating effects that recalls can have on your business. Mencionar Superior Food Safety para recibir la tarifahabitación/noche. 1-4 Attendees - $850.00 (USD) Registration is for 1 attendee, addtional guests/attendess can be added during the registration process. 5+ Attendees - Save $60 per attendee – $790.00 (USD) Early Bird discount for 5+ only available for attendees from same company. REGISTRATION CLOSES ON December 6, no refunds will be given after October 30. Registrations may be transferred to another person from the same organization for the scheduled class. Enjoy free horse drawn carriage rides through downtown Napa. 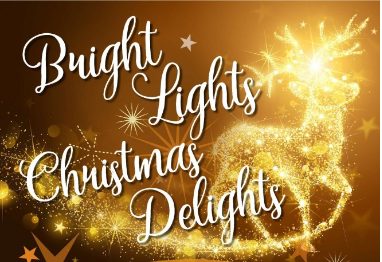 It's one of the best ways to enjoy the Holiday lights on all the buildings and check out the Christmas windows, while snuggling with family. Carriages depart every fifteen minutes from the Napa River Inn at the Hatt Building on Main Street. Spend the time between rides shopping and dining in beautiful downtown Napa. Thanks to the 20/30 Club for their support with the rides. Lots of holiday events are being celebrated! See all of them here! It doesn’t take a great deal of reading or research to see that there has been a marked rise in Department of Justice (DOJ) activity in the food industry over the last few years. In fact, the DOJ’s Principal Deputy Assistant Attorney General Benjamin Mizer spoke at a food policy conference in April on that very topic, discussing DOJ’s role in ensuring the safety of the food supply, and the enforcement tools it has to fulfill that role. As Mizer stated, “One of the government’s highest obligations is to protect citizens when they cannot protect themselves.” Because consumers have to rely on the companies who manufacture and distribute food to ensure that the food they buy is safe, the government sees food safety as an area in which consumers cannot always protect themselves, so it has an obligation to assist in providing that protection. Such protection is also the very foundation of the Food Safety Modernization Act (FSMA) and its risk-based preventive controls, and DOJ, FDA, and USDA have been acting on that obligation not only in increasing frequency, but in increasingly severe ways, i.e., the 20+-year prison sentences of the PCA executives. And, as I wrote in a recent newsletter (How Serious is the Department of Justice?) which I will recap a bit in this article, my view is that this is very serious business, and it is a trend that I don’t expect to slow down any time soon. But we all know that no one and nothing is perfect; no one expects that FSMA will eliminate all contamination and foodborne illness. But what you may not know or fully appreciate is that Congress made it a prohibited act to introduce adulterated food into interstate commerce; and it is a strict liability offense, meaning that a company or individual who violates the law can face misdemeanor charges – whether or not it intended to distribute adulterated food. Additionally, in FDA’s Regulatory Inspection Manual under section 6.5 “Prosecutions,” FDA made it very clear that it sees prosecutions as beneficial to food safety as having a deterrent effect. Specifically, the document states: “Misdemeanor prosecutions, particularly those against responsible corporate officials, can have a strong deterrent effect on the defendants and other regulated entities.” It’s essentially the same tactic that is taken by parents around the world. Threats are only as good as their corresponding action: if a rule is broken and the guilty child faces no repercussions, every other sibling will see the rule as nonbinding. But if punishment is meted out to a degree that befits each violation, it not only impacts the reprimanded child, but also each sibling who sees that the parent is serious. Though the prosecution meted out by FDA is, of course, much more serious, it follows the same philosophy: Let the corporate executives see that we are serious; let them see that we will prosecute; and it will put the fear into them. As I heard one father say many times, “My children will either respect me or fear me.” If the only way a child/some food corporations will follow the rules is the fear of punishment/prosecution, then so be it. AN INCREASED FOCUS. And FDA is checking. With the advanced detection of whole genome sequencing; its “long memory” (ability to match a bacteria found in a facility today with one found four years ago – or longer); its linkage in CDC’s national database; and the FDA inspectors’ current propensity to undertake a “swabathon” in food manufacturing facilities – we are beginning to see more and more situations where a case or two of listeriosis is being linked back to a food production facility. What all this means is that it is much easier today to link a sick human with a suspect food and food plant. Thus, the odds that you will be found to have put adulterated food into commerce – even if totally without intent – continue to rise. Further, if FDA then finds that you have had positive hits with Listeria but not taken appropriate corrective actions and root cause analysis, you can end up with the DOJ coming to visit. So, not only is FDA conducting microbiological profiling during facility inspections and testing food at retail, it is acting on its right to initiate criminal investigations against food companies and their executives who distribute food products that have the potential to cause human illness – even when the executives had no direct knowledge of the potential. Although there is certainly an increase in criminal investigations and DOJ prosecutions, it is not a new tool for the agency. Rather, it dates back to a 1975 Supreme Court decision from which the Park Doctrine established that a responsible corporate official can be held liable for a first-time misdemeanor (and possible subsequent felony) under the FD&C Act without proof that the corporate official acted with intent or even negligence, and even if such corporate official did not have any actual knowledge of, or participation in, the specific offense. You, obviously, will have noticed by now that I have repeatedly stated that one can be prosecuted and held liable even without knowledge or intent. In fact, it has been stated so often, you may be wondering if I actually reread my own columns before submitting them. But understand that my repetition is quite purposeful. There is an ancient legal principle that states, “Ignorance of the law is no excuse.” That is, even if you do not know that something is against the law, you can still be punished for doing it. The same holds true here – even if you don’t know that something occurred, or could occur, you can still be punished for it. To see that this is true, simply consider Jensen Farms – which contended that it had relied on a Superior audit rating and didn’t know their operation was flawed, yet they were sentenced to probation, home detention, and a fine. You may also want to keep an eye on the current criminal investigations of Bluebell, Dole, and others for 2015 outbreaks. DOJ “TOOLS.” Back in the first paragraph of this article I noted that Mizer’s statement included the fact that DOJ is not only focused on ensuring the safety of the food supply, it also has the enforcement tools to do so. What exactly are these “tools”? 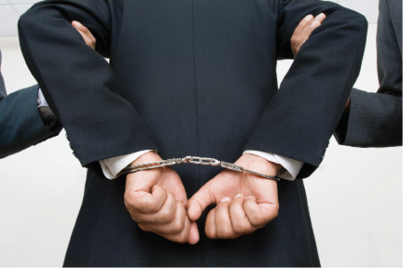 What sorts of punishment might a corporate executive (or others) face? Civil Authority. The civil authority is primarily designed to prevent the distribution of adulterated food, such as asking a court to order the seizure of potentially unsafe products or to temporarily prevent a facility from operating until sanitary conditions are established. In these cases, which are often resolved through negotiated agreement, the goal is to require that the company institute new health and safety procedures and that it not be able to distribute food until the government can verify that it has taken all steps necessary to prevent a recurrence. Civil enforcement is often used in cases of unsanitary conditions and has also been used for those involving the administration of drugs/antibiotics to animals intended for human consumption. Criminal Prosecution. When DOJ decides that criminal prosecution is warranted, based on such things as the nature and seriousness of the offense, the deterrent effect of the prosecution, and the culpability of the individuals or entities involved, it must then decide whether to bring misdemeanor or felony charges. Even if DOJ elects to charge a violation as a misdemeanor, it can still bring serious penalties, such as the misdemeanor sentences of the Iowa egg farm owner and CEO of three months in prison, one year of supervised release, and a $100,000 fine. Felony charges will be brought when the facts become egregious enough to warrant that, such as when DOJ can show an intent to defraud or to mislead consumers or the FDA. What makes these prosecutions of further consequence is that, under the Park Doctrine, once a person has been convicted of a misdemeanor under FD&C, any subsequent violation is an automatic felony, even, again, without proof that the defendant acted with the intent to defraud or mislead. So, to jump back to the question: Will FSMA get you off the DOJ’s hook? Yes and no. But full implementation of FSMA and the involvement of everyone in the organization will certainly help in prevention, and in providing at least some defense if a contamination does occur. FSMA is serious stuff for sure, but this new trend from DOJ and FDA should be taken very seriously, and every executive in a company involved with food should be aware of the trend and act accordingly. David Acheson is Founder and CEO, The Acheson Group. It seems there isn’t a day that goes by without a food recall being announced. National brands like General Mills, Kellogg’s and Kraft alone have all experienced major recalls over products contaminated with such hazards as E. coli or undeclared allergens in the last few months. 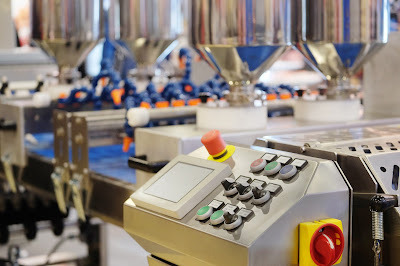 Food recalls are incredibly costly to a company, but can be handled effectively and efficiently with good planning, proper execution and the right technology to back it up. Fortunately, the food industry is moving in the right direction to encourage better recall management by way of regulations under FSMA. Underscored by these federal mandates, the industry as a whole is moving away from a reactive approach to quality and safety issues within the supply chain, instead adopting a preventative plan of action. 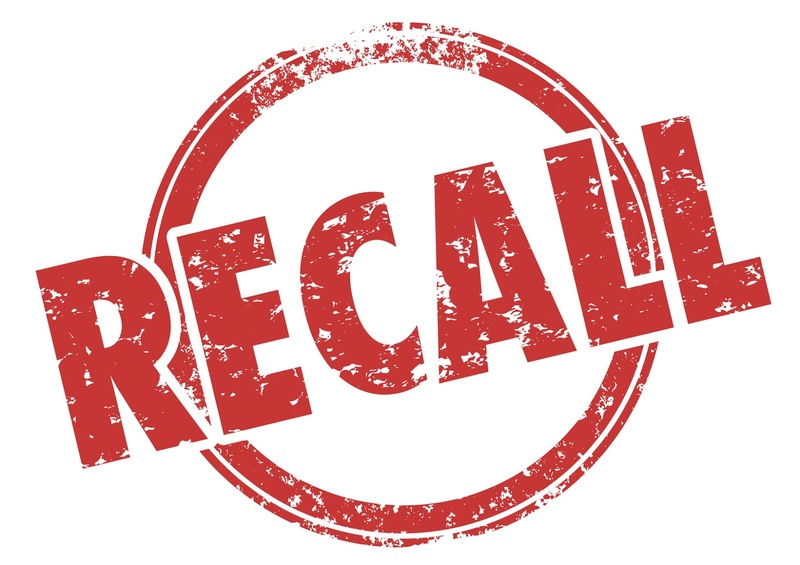 Recalls are inevitable in the food industry, and in reality every company has, or will, experience one at some point. What sets a company apart essentially boils down to how they prepare for and react to a recall situation. If a company has done its due diligence to prepare for the inevitable (i.e. putting a recall team in place and implementing the right traceability technology), dealing with a quality or contamination issue can be less painful. Additionally, taking the right preventative steps can ensure a recall situation is proactively handled, rather than leading to a brand’s nightmarish public meltdown. The industry has relied on a more linear approach to supply chain transparency—the “one-up and one-back” method (OUOB). Knowing where a product has come from one step back in the chain and where it is being sent or sold one step forward is no longer enough. To properly prepare for a recall, and manage product quality, it is imperative that a company employ whole chain traceability software, rather than relying solely on the movement of product within its own four walls. 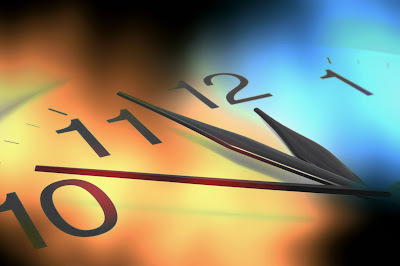 When faced with a recall situation, time is of the essence. The time it takes for the recall team to identify the root cause of an issue and remove it from the supply chain could be the difference between sick consumers and serious brand implications. Being fully cognizant of the entire supply chain via a whole-chain traceability solution allows you to visualize a contaminant’s exact location; this information ultimately helps a brand streamline and manage the issue quickly and effectively. Wowak’s research profiles a series of recall scenarios. One that was studied found that 50% of the food removed from the supply chain during that recall was actually affected—the other half was perfectly fine. Take the example of a batch of tainted tomatoes in your supply chain. Without being able to identify the root cause at the lot level, a company might be forced to remove all of the tomatoes from its supply chain. Rather, by utilizing end-to-end traceability software, they can identify the specific farm, pack date and lot from which the produce originated. Tracing that information through each step in the supply chain—hether the tomatoes ended up on a pizza, in a can of salsa, or in a farmer’s market—allows the brand to manage the bad products without disrupting their entire chain or wasting perfectly good produce. When faced with a safety or quality issue, communicating information to relevant parties is necessary throughout the process. 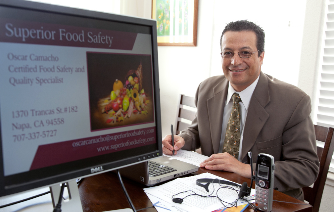 Especially with FSMA coming into play, if a company experiences a quality issue, they must promptly notify regulatory establishments and be sure to submit documentation and data in an immediate manner for investigative purposes. This can be hindered if a brand does not have a good handle on their supply chain data and must spend hours sorting through file cabinets, emails, or Excel sheets for proper documentation, or coordinating with suppliers for records. The longer it takes to comply with federal regulations and submit data around a recall, the more likely consumers, and the brand, are at risk. The industry’s shift towards a preventative approach to safety is hitting a milestone as FSMA compliance periods have already taken effect. With this change, the FDA will no longer tolerate poor handling of contamination or quality issues. A company cannot get away with blaming a partner’s lack of transparency, or a supplier’s inconsistent records— the brand is now always accountable. In the coming months, we can anticipate added scrutiny from auditors, more mandatory recalls, even the shutting down of facilities due to noncompliance or negligence around safety concerns. Having a robust supplier management system in place enables a company to be prepared for a recall situation. With all of your product and supplier data in one place, companies can quickly gather and allocate necessary data like audits and assessments to the appropriate officials, complying with the new required recordkeeping rules. By streamlining the availability of key information, and supporting seamless communication, a brand can be empowered to navigate a quality or safety issue. As testing across the supply chain increases and the demand for fresh food rises, recalls are not going away. Fortunately, the move to a preventative approach to safety comes at a time where traceability technology is more comprehensive than ever. Food companies have the opportunity to invest in themselves with end-to-end traceability, arming the brand for the inevitable occurrence of a safety or quality issue. By enhancing visibility of the supply chain via an all-encompassing whole-chain platform, it is possible to track a product through each stopover to the consumer, from farm to fork. At the same time, housing all data in one efficient platform can ease the pressure of liaising with supply chain partners and regulatory bodies and streamline communications when faced with a safety situation. While recalls are an inescapable part of the food industry, what sets a brand apart is how well they prepare and arm themselves with the technology to stay ahead. Implementing supplier management and whole-chain traceability software can help a company stay one step ahead of a recall, which makes all the difference when consumer wellness and brand reputation are on the line. A top priority for FDA is providing the framework for industry’s implementation of preventive controls and CGMP requirements. We recently issued draft guidance documents that provide more detail on how to comply with the new standards, and there are more guidances to come, about two dozen planned over the next few years. We intend to continue this dialogue and collaboration with regulated industry to ensure that everyone understands and engages in their respective roles in food safety. A company’s approach should not be: “The government was here and did our inspection. We’re safe for X amount of time.” Rather we want facilities to be confident that if FDA or the state walks in tomorrow, they’ll be able to demonstrate what they’re doing to meet the new food safety requirements. This article has been republished with permission from FDA. The original version can be viewed on FDA’s website.